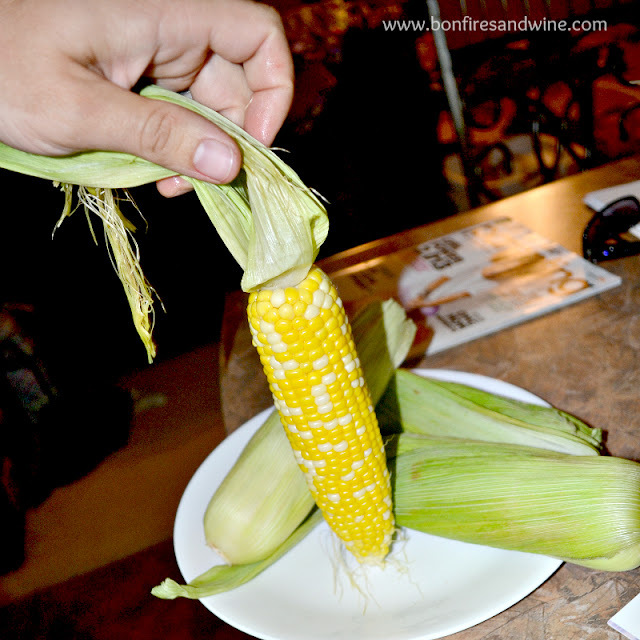 Bonfires and Wine: The ONLY way to cook corn on the cob! Hey y'all! How's it going??? We're takin' you into the kitchen today! We're pretty picky eaters, (but we're working on that little by little). 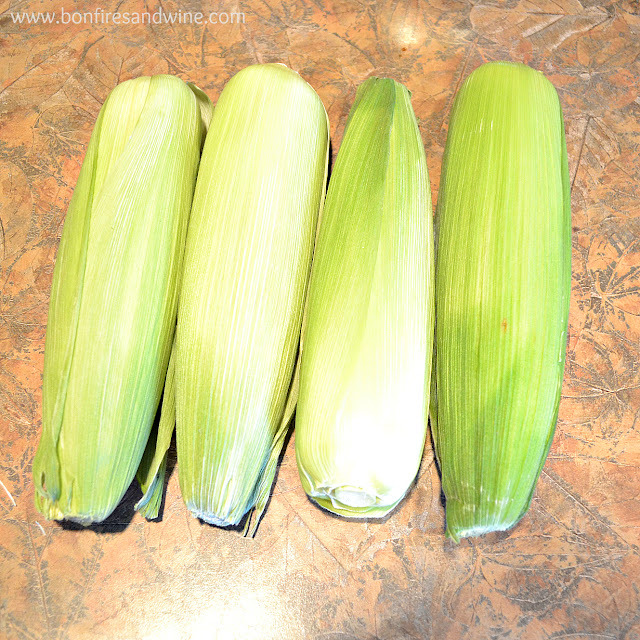 One of our favorite go-to side items is, and will always be, sweet corn on the cob! I don't know about you but, removing the husks is a pain! Especially when cooking a lot of it! Yep, you read that right. Throw it in your microwave! 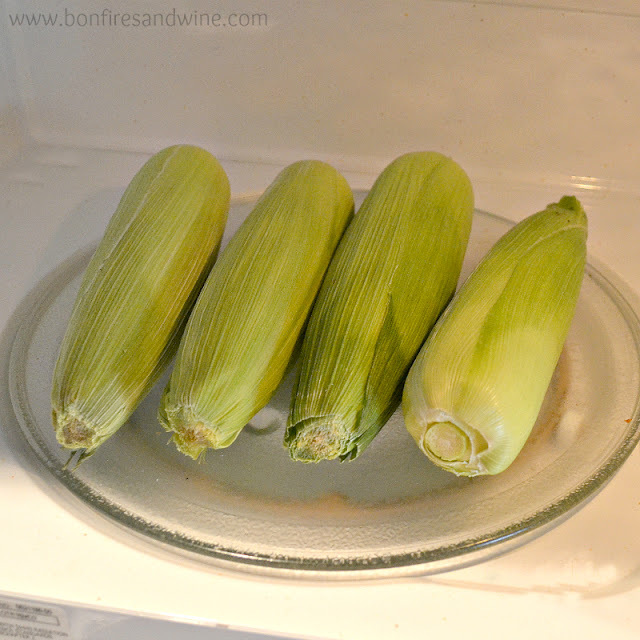 We had 4 pieces of corn and put it in the microwave for 7 minutes. The husks and silk practically fell off when it was done! It doesn't dry out or lose flavor, either! The second best part about this is that it required no pot of water, which means one less dish to clean! 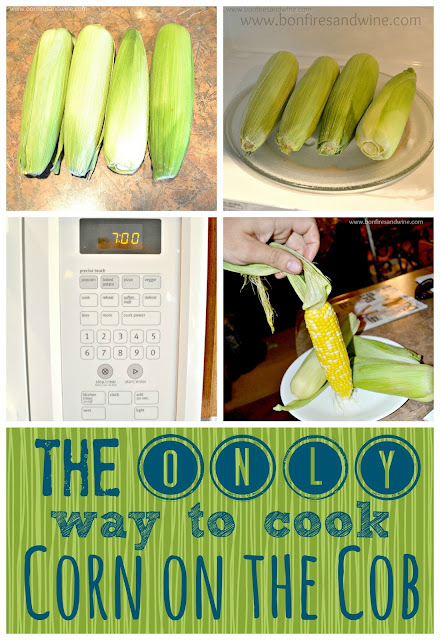 I seriously won't make corn any other way ever again! 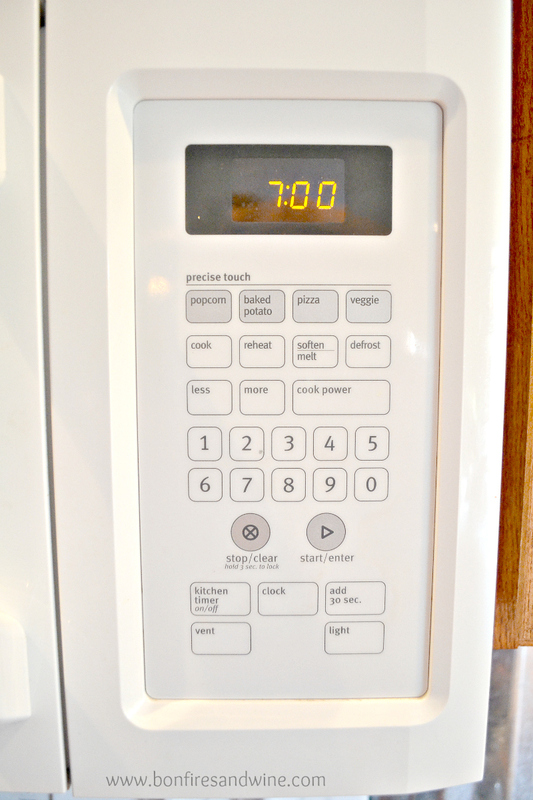 Do you have any time-saving, dish-cleaning secrets to share???? Let us hear them!!! Make sure you're following along!